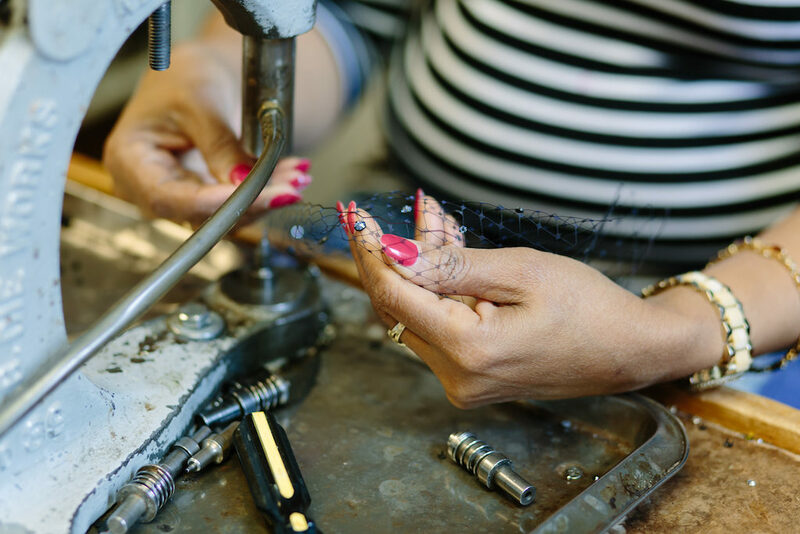 Our showroom and factory is located in the heart of the New York City Garment Center. If you are in the area, we welcome you to stop by for a tour. You will find a tremendous assortment of hand-made artisan flowers for sale in all colors and styles. If you can’t find the perfect flower in stock then we will gladly make it for you. You can choose from our thousands of vintage tools and dies to select a unique style that works for you. Together using your creative talents and our expertise we’ll design the perfect flower. If you are out of town we invite you to browse our online gallery and choose from the hundreds of samples. This is just a small taste of the infinite Custom Fabric Flower possibilities! Everything you see can be custom made in any fabric or color you want to provide. If you prefer, we can also supply silk fabrics such as satin, organza, charmeuse, taffeta, chiffon and habotai in an array of colors, as well as kidskin leather or velvet in basic colors. We also have a large rapidly changing stock inventory and will gladly work with you via e-mail to show you what is available. If you don’t see something please feel free to e-mail us or send pictures. When sending fabric please remember ¼ yard minimum from selvage to selvage of fabric is needed to make a flower, petal or leaf. 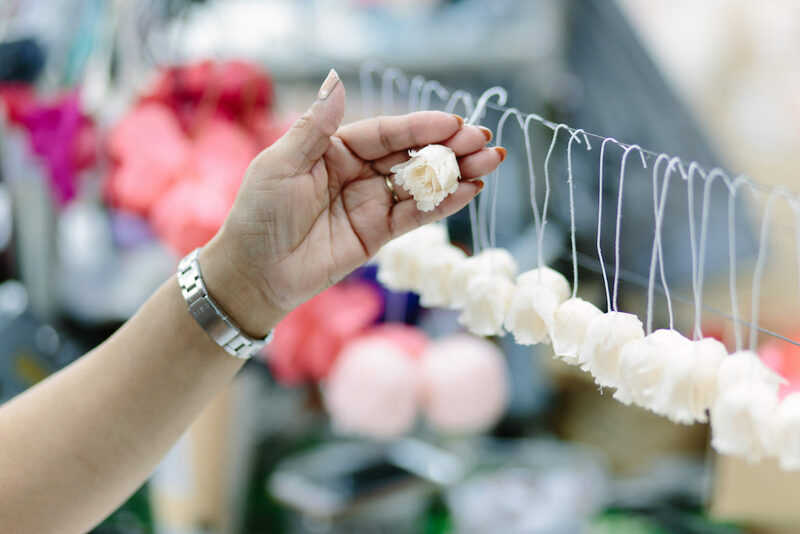 A flower or cluster can be made using one fabric or a combination of fabrics. It’s all up to you! Contact us at info@customfabricflowers.com or visit our retail storefront here!